The 18-month long Project Connecting Europe through History – Experiences and Perceptions of Migration in Europe, run by EUROCLIO, the European Association of History Educators, in collaboration with the EVRO-PAEVM, the association of 10 leading universities and the International Students of History Association, is a transnational initiative which aims to enhance mutual understanding among Europe’s citizens, and to share and boost cultural and linguistic diversity by tackling issues linked to movements of people as a common theme across European History. All nations in Europe contain significant numbers of migrant or minority families who do not share a common historical experience. Many Europeans are threatened by the deepening of European integration, and even more so by the extension of the EU with ‘new’ countries. Others have become increasingly xenophobic and intolerant. Historians and History educators face the challenge to explore and explain such heterogeneous historical roots and culture. They cannot simply rely on ‘more inclusive’ historical narratives. Today, even diverse student populations also introduce different and frequently conflicting perspectives to give meaning to the ‘same’ events. 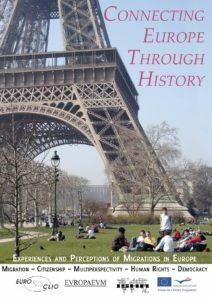 Connecting Europe through History sets out to offer room for multiple perspectives, intercultural dialogue and a European dimension to create new histories and we hope lead to better mutual understanding, tolerance and peace. Using comparative research methods around themes of Migration, the Project has profiled the different ways in which European countries deal with such challenges, and to show the extent to which History Education is already part of this process. The results of this work were discussed over a series of national seminars, workshops and lectures in countries around Europe, bringing together prominent historians and researchers from the EVRO-APEVM academic network, civil society representatives from the wide network of EUROCLIO National History Teachers Associations and Students of History Education, Culture and Heritage, Economics and Migration Studies from the network of ISHA. 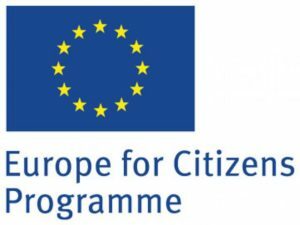 This geographical spread across Europe and across disciplines, and across different age groups and professions, all helped to facilitate the Project’s aim to offer insights into the knowledge and interpretation of migration and movement bringing Europe closer to its citizens and raising awareness of the transnational ideas. Coordinators: Jonathan Even-Zohar, Paul Flather, Frerik Kampman, Maria Kazamiaki, Joke van der Leeuw-Roord, Sven Mörsdorf. Authors: Jonathan Even-Zohar, Frerik Kampman, Maria Kazamiaki, Christina Traher.